Unlike commercial jets that fly well above 15,000’ (pilots enjoy telling you the cruising altitude), your skydive will be taking place between 13,500 and 14,000 feet – an altitude where plenty of oxygen exists! You may be wondering if it is hard to breathe when skydiving. If you feel that your breathing is restricted, it’s not because there’s a lack of oxygen available. So in a word, it’s not hard to breathe when skydiving. While there is no shortage of oxygen when skydiving from 13,500 feet, it’s not uncommon to hear people say that they had trouble breathing while skydiving. So what gives? 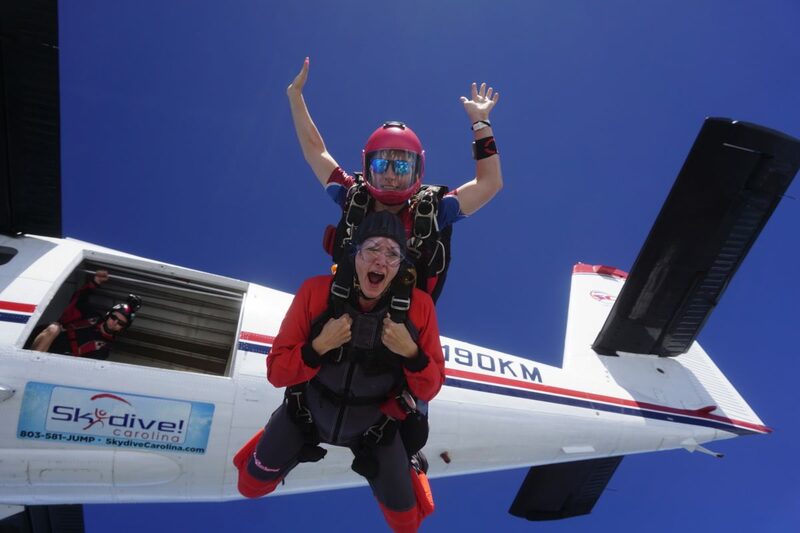 Is it or is it not hard to breathe during a skydive? When skydiving, some people unconsciously hold their breath as they exit the plane. This shouldn’t be surprising as this is a big, nerve-wracking step that can literally take your breath away! Additionally, there’s a lot of wind being pushed onto the face (imagine sticking your head out of your car window while zipping down the highway at 120mph) which instinctively makes you want to close your mouth and… not breathe. The reality is exiting a plane isn’t normal and when in the fight or flight mode, some guests hold their breath. Solving this problem is easy! Skydiving instructors tell their guests to simply yell or even scream during free fall (something that should come naturally). That screaming depletes your oxygen forcing you to take a giant gulp of air allowing you breathe once again. The typical exit altitude for most skydiving centers is usually between 10,000 and 14,000 feet. The altitude of 14,000 feet isn’t arbitrary. This altitude is about as high as someone would want to go without the aide of additional oxygen in order to avoid becoming hypoxic. Hypoxia is a condition that can affect judgment and even cause a person to black out due to a lack of oxygen and is why skydives made above 15,000 feet require the use of O2. So, is it hard to breathe when making a skydive? Not at all! Simply smile (or scream) and enjoy this life-changing experience! 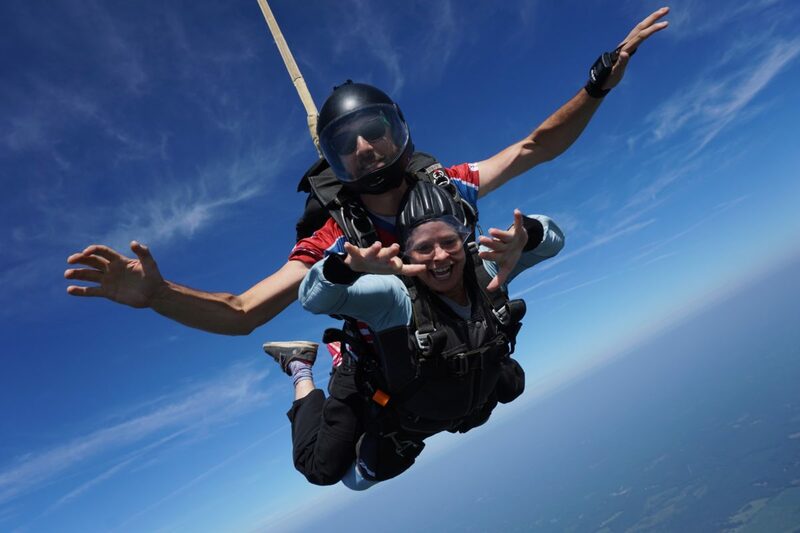 If you’d like to join us in the sky, click here to reserve your skydive. Have other questions? Check out our Skydiving FAQ page.